Thinking about building a pond? Want to know how to grow larger fish? Wondering what kind of environment you need to have a pond? What about aeration? 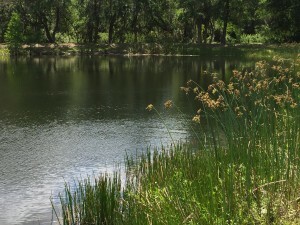 Why should you aerate your pond or lake and what options are available? Join Argyle Feed & Hardware and Bob Wucher, Sales Specialist with Purina Animal Nutrition, on Tuesday, May 10th. Learn about pond management, health, and growing bigger and better fish with Purina AquaMax! And, just in time for our Pond Seminar, Stock My Pond visits Argyle Feed on Wednesday, May 11th with fish delivery— go here for more information. This entry was posted on Friday, May 6th, 2016 at 2:41 pm	and is filed under Events, News & Updates. You can follow any responses to this entry through the RSS 2.0 feed. Both comments and pings are currently closed.